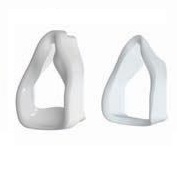 Replacement Foam Cushion and Silicone Seal for Fisher & Paykel FlexiFit™ 432 Full Face Mask. Available in small, medium, large and extra large. 1 cushion and seal per package. Add Headgear? : Please SelectYes, add headgear ($25.00). No, thank you.